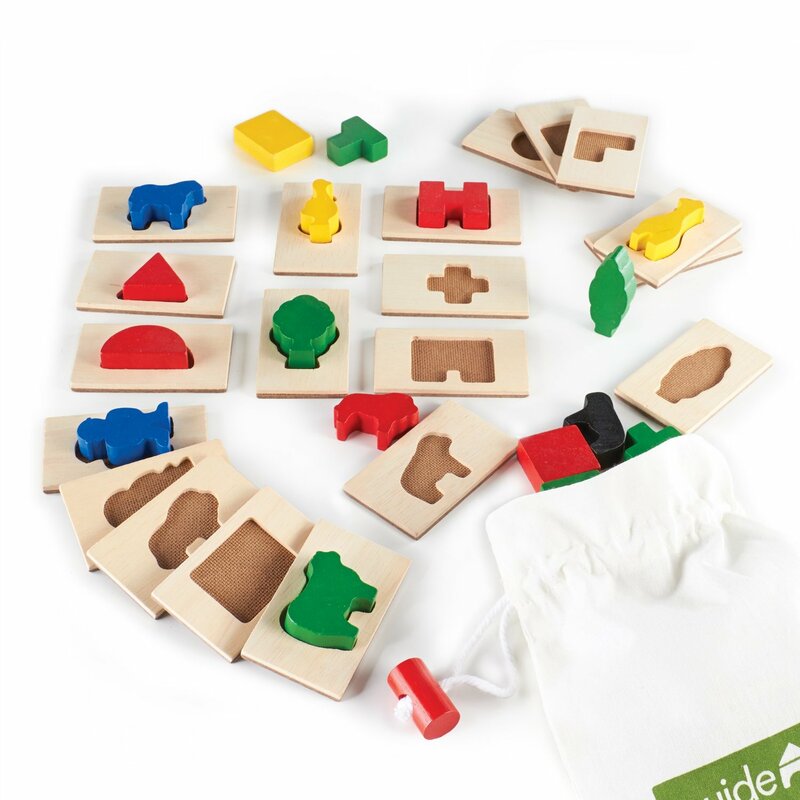 Natural, child directed toys and activities inspired by the Montessori Method! 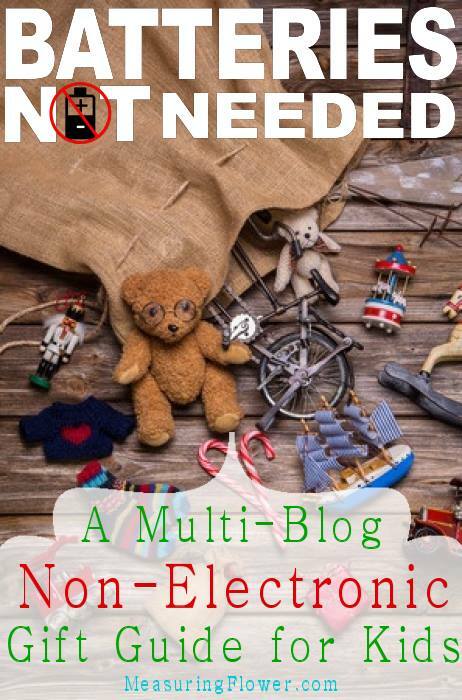 I’m joining up with some blogging friends to bring you a multi-blog “Batteries NOT Needed” gift guide filled with loads of gifting ideas for children that do *not* need batteries or cords! 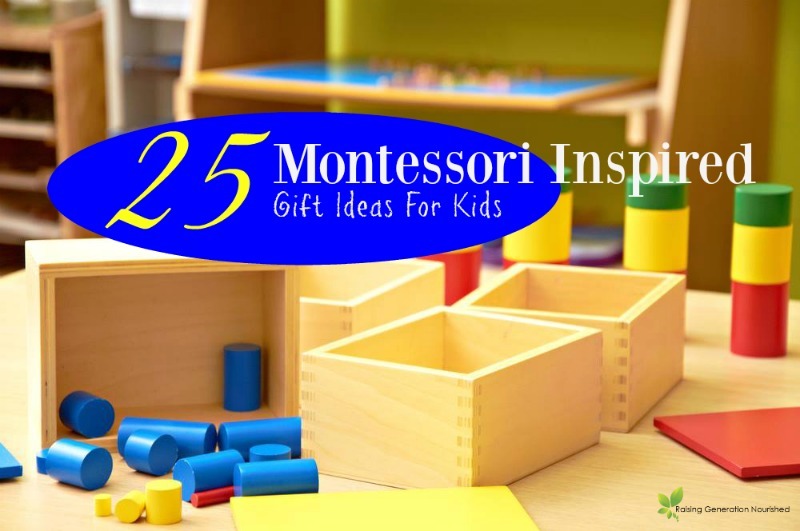 After you check out these Montessori Inspired ideas be sure to check out the rest of the blog focuses at the bottom! I promise my blog focus isn’t changing sweet friends! I get a lot of interest on my Instagram when readers see my girls playing with certain toys, or doing certain activities and I am really excited to have a spot to share some of the Montessori inspired toys we enjoy in our home. 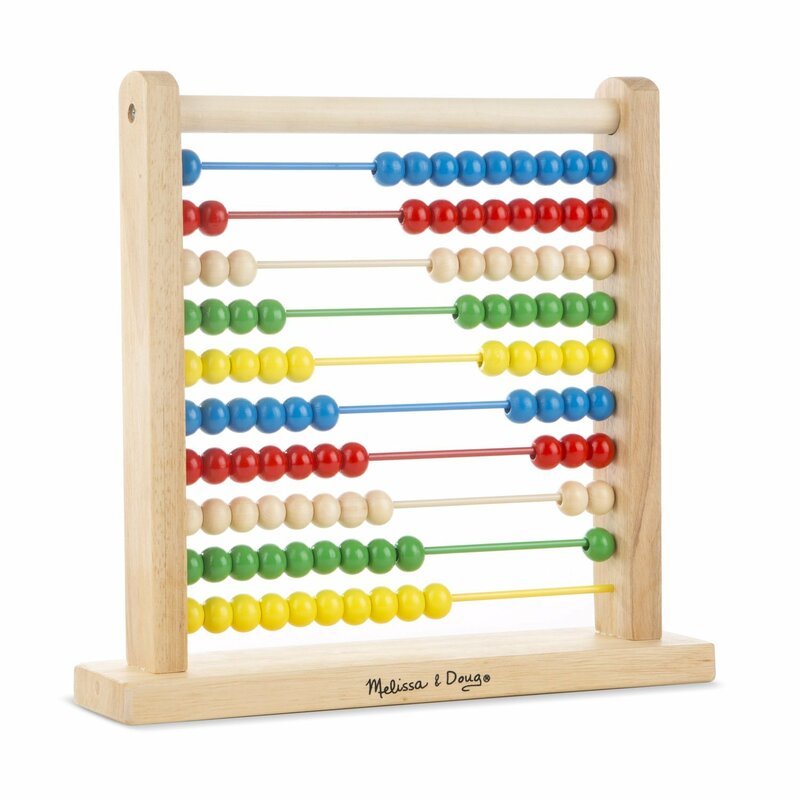 Obviously your children don’t need to be in a Montessori school to benefit from these toys! 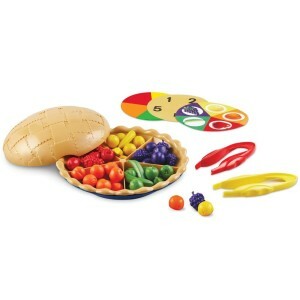 These open-ended, self directed activities are so fun…and possibly the best part is there are no batteries needed! 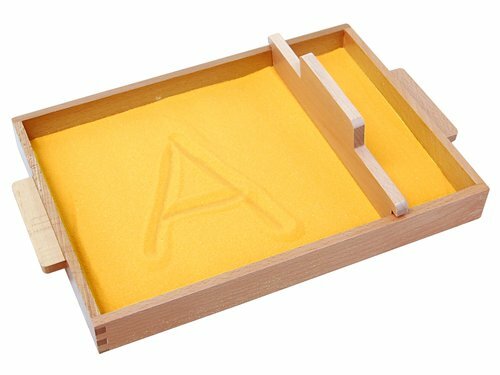 A great way to introduce not only letters but handwriting letting them focus on the shapes of the letters before having to grip a pencil at the same time! 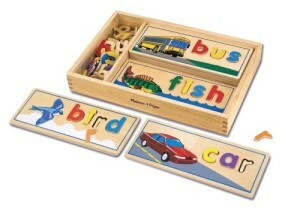 I give them blocks or cards with words or just a letter day to practice. The handles on this one make it easy for them to be independent in taking it out and putting it away as well. 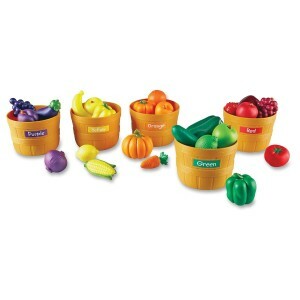 Obviously I am in love with a toy filled with veggies and fruit! My toddler loves filling the baskets and it is so fun to see the light go off when they finally figure out how to sort them by color! 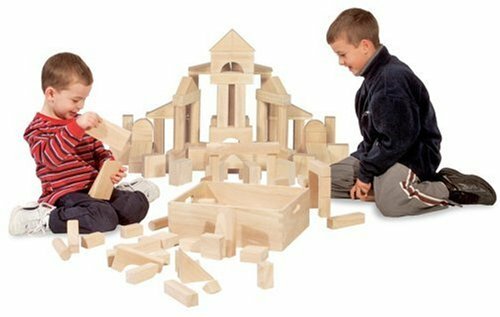 Blocks are the ultimate open ended play toy! My girls use their blocks everyday from the 2 year old to my oldest! 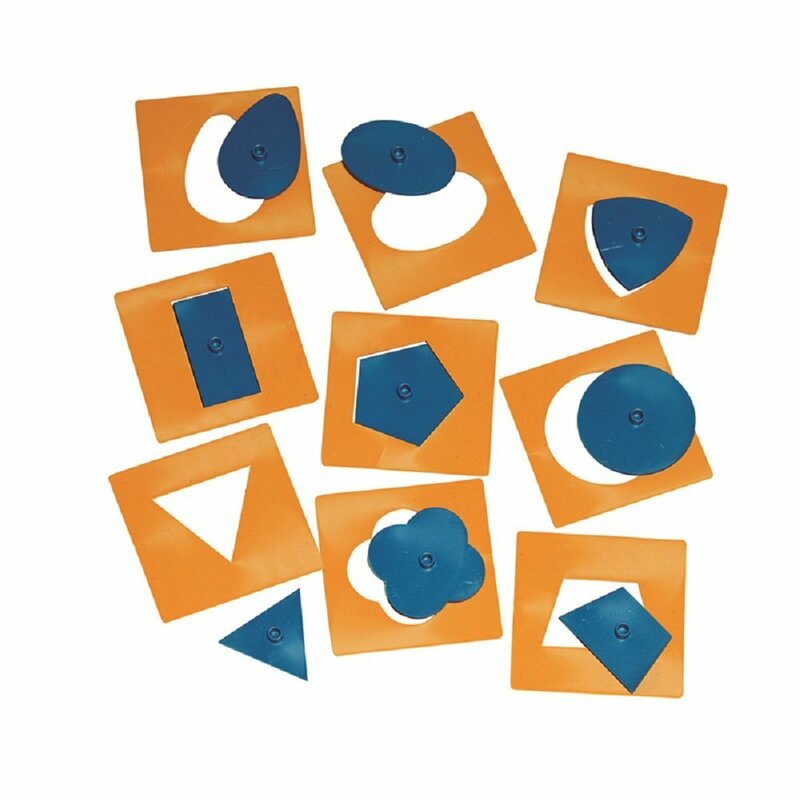 This shape sorting and fitting is a classic activity in Montessori rooms and is a fun, different puzzle to keep on hand to play with. They can also be used as stencils! 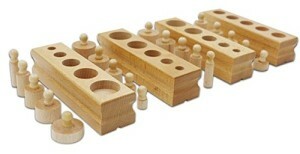 Another classic Montessori activity, this size awareness socket set is simple but keeps toddlers and young elementary kids busy and engaged. By FAR my most used piece in my house – by far! We have 2 little helper standers and having a way for the little ones to safely help with washing, food prep, or even crafts at the counter is SO helpful! 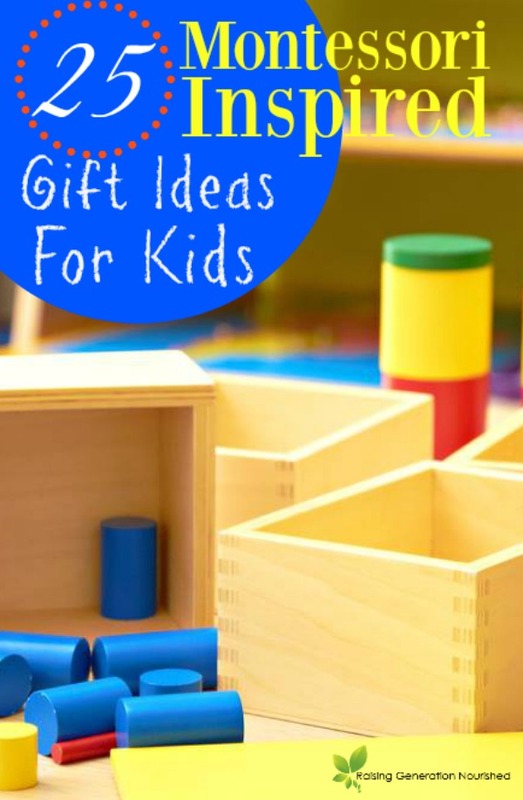 This is a GREAT gift idea if you have a baby or small toddler – they don’t know any differently if you have gotten them a toy or not – this will be used for literally years. 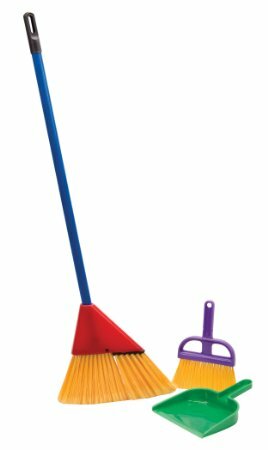 My girls start using it around age 1, and my 6 year old still uses it when I’ve got a taller stock pot at the stovetop – it puts her right above it so she can safely stir. Yes they can be noisy but I love using musical instruments to show rhythm, count numbers, and just have a fun dance party! 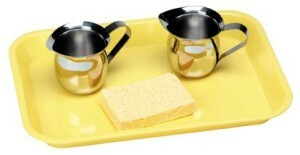 The Montessori environment facilitates children in the use of real/regular cutting utensils at young ages to most standards. 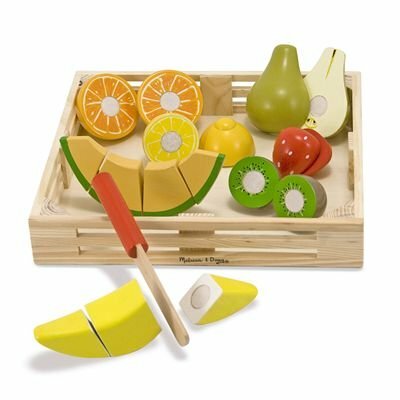 As early as Kindergarten you will find real apple slicers and regular knives being used to teach children how to properly prep food. This is a fun set to start with for the toddlers to introduce the concept! This is a great game for developing the ability to feel something and be able to match it to a shape. This game can really be adapted to any age. Babies love to look at the shapes, toddlers love to work on putting the shapes in the right spots, and older children can play the game where you pick a tile and then find the shape to match it in the bag without looking at it. 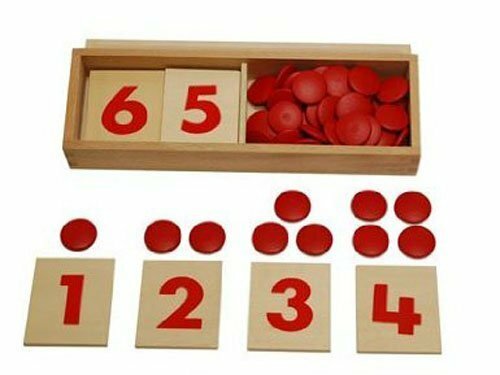 A fun way to introduce math concepts! I love how this grows with the kids. 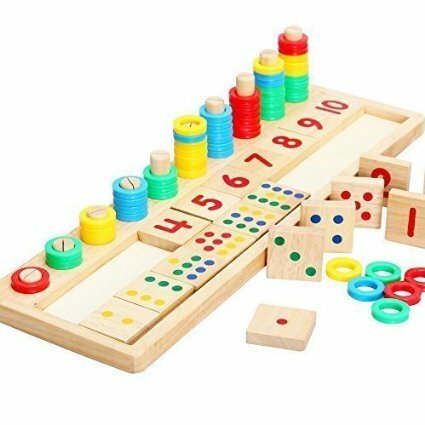 Babies love to look at the colors and watch the beads move and older children can use it for counting, sorting, spacing, and learning the value of 10. My oldest uses it still often. We love this big floor puzzle! Montessori starts at the youngest of ages teaching a sense of community and taking care of more than just themselves. 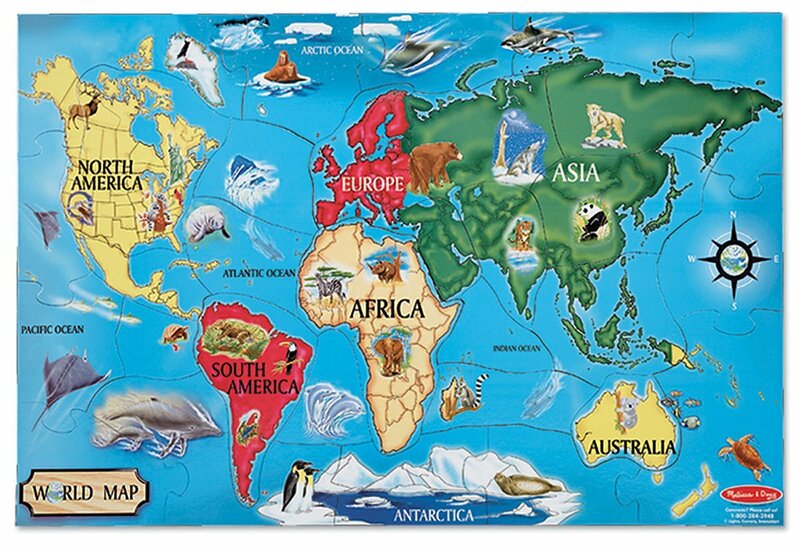 They start with learning about the world and then move down to the countries, etc. so they use world puzzles to start the learning process of this. 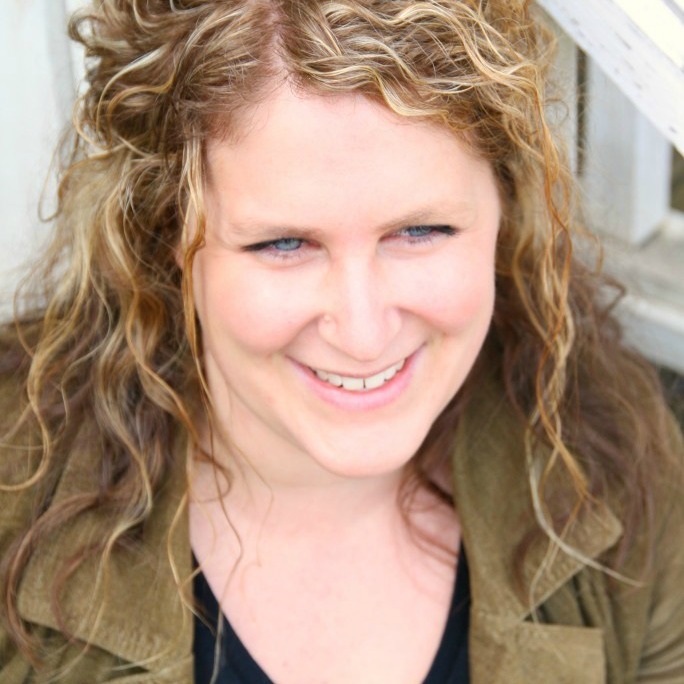 Practical life skills are one of my favorite aspects of the Montessori Method because they are things that not only will help you as the parent now, but they are skills that the children will use for a lifetime. Toddlers specifically are in this open window of time where they love to help so setting the stage for cleaning help is a great idea! This is another skill that brings kids a sense of accomplishment and pride as well. 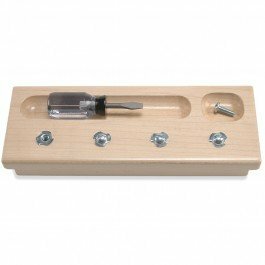 We have gotten a LOT of use out of this Latches and Locks board and Basic Skills board . A great way to practice very useful, practical functions like sliding latches, clips, zippers, and buttons! This is another classic activity in a Montessori classroom. Toddlers and even big kids *love* to pour! It seems so simple, but it is even relaxing. They are learning so much during this activity too from steadiness to the science of how a sponge works and how to clean up if something spills. 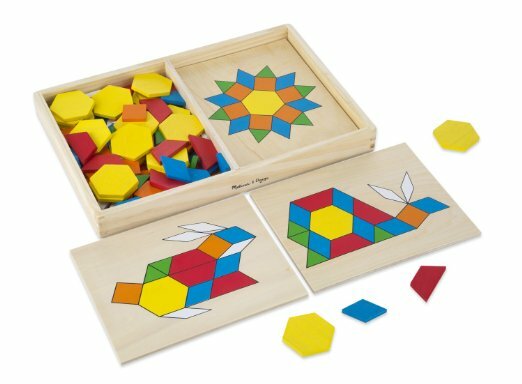 This is one of my girls’ favorite puzzles. Not only because the patterns are really neat – but because the blocks can be very open ended if you want. She often takes the shapes off the boards and makes her own creations! Sewing is a practical life skill for all kids to have and this is a great way to introduce this concept! This is another toy the girls use daily! 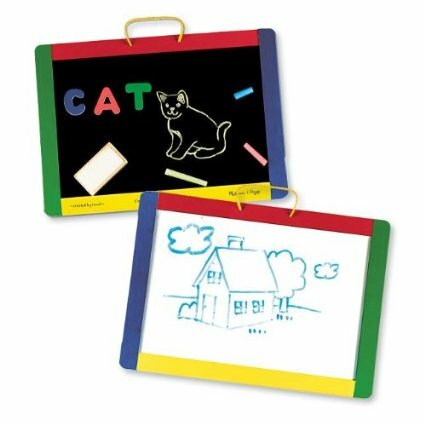 Open ended use from drawing pictures to practicing letters and numbers! 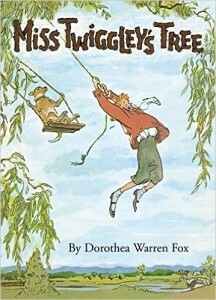 The gift of a story seems so simple but it is really the gift of spending time with the children. Even toddlers and early readers who may not be able to sound the words out of these classic books will enjoy the timeless stories when someone they love is reading to them. I am always surprised the “older kid books” that my 2 year old just loves to listen to! And there is just something about holding a real book in your hand versus a tablet in my *humble* opinion! 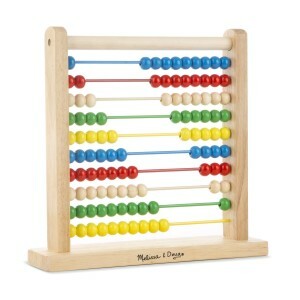 This one can adapt from the very young just learning to count, to the older kids learning how to add and subtract. There is something about having those concrete objects in front of them to see the numbers while they learn. Lots of different skills all in one little toy! The tweezers are great for my older girls while my 2 year old uses just her hands. My older girls work on adding and subtracting and my 2 year old works on fitting things into spaces and colors. It is a great toy! I love the use of practical life activities for developing motor skills and this fun task is so good for those fine motor hand muscles needed for writing. Kids are mesmerized with this work! It seems so simple but every time I am in the classroom the children have this one out to work on. 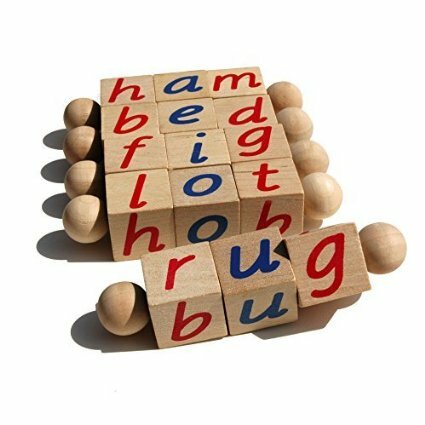 Another toy that can grow with your kids, these see and spell puzzle boards can be more than matching up the letters and early reading, my older kids also practice spelling and writing each word after they do the puzzles. I have gotten this workbook for my older girls every Christmas for the last couple years! 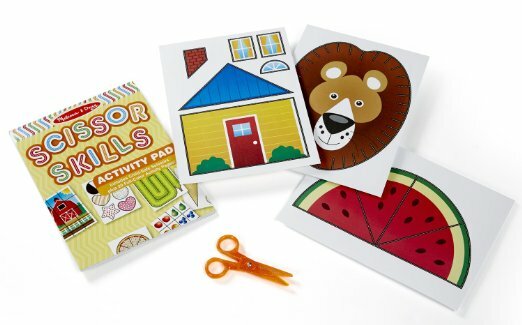 They love all of the activities so much, and while my oldest is beyond having to learn how to use the scissors, she loves cutting everything out to put the pieces together and do the activities. Seeing this concrete picture of how words rhyme is a simple step toward your brand new reader taking on words to read. I love these to pack in the car, or keep in a basket at home to explore while they wait for dinner or during quiet time. 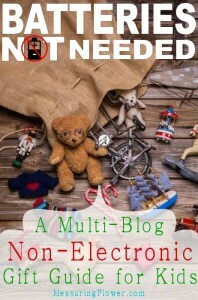 Don’t forget to “hop” to the next blog to check out their electronics free gift ideas! So many fun ideas! I really want the little helper stander! 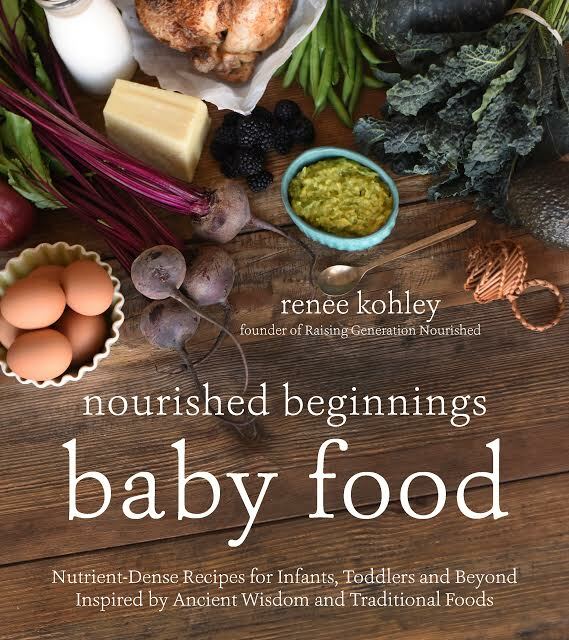 That would be so helpful in the kitchen for Tiny Love. These are all such wonderful ideas! I love the toys that encourage imaginative play, for sure.